As a parent I find myself constantly torn between disciplining my child and at the same time making sure his self esteem is not hampered. The other day when I was resolving a fight between my kids on who gets the TV remote, my son had a meltdown and burst out, that I always liked and supported his brother not him! It left me completely stumped. 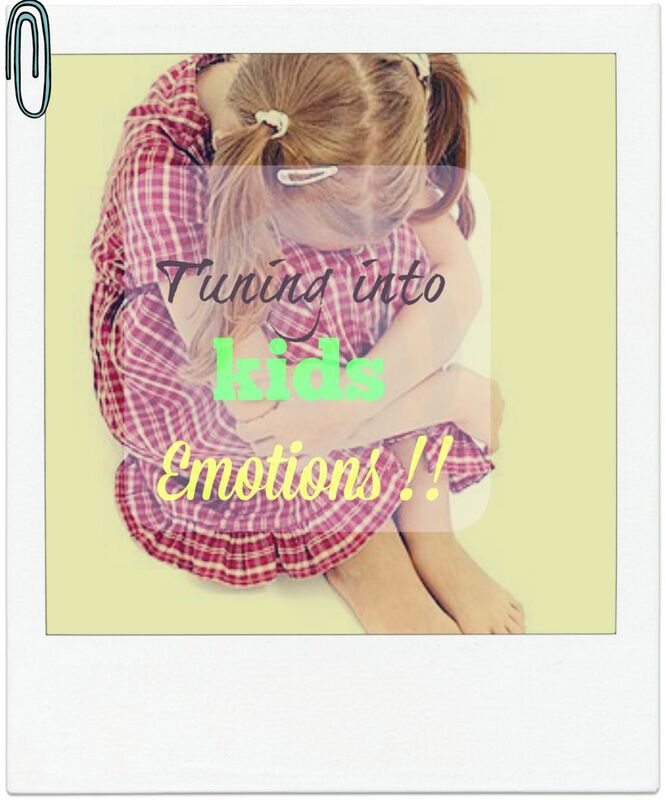 How do we handle our kid’s emotions without belittling their feelings (sometimes they are so farfetched and mostly not true!)? More importantly how do we make sure that they deal with their emotions without holding on to their baggage! To narrow that down furthermost importantly how do we ensure that our kids grow up to be happy and confident individuals. I was recently introduced to the concept of ‘Journey process’ by a friend. We spoke about kids, work and yoga among other girly stuff and that’s when she explained to me the work she does with kids. She conducts a workshop called ‘Tuning into Kids’ that helps kids to understand and be aware of what they feel in a life situation. In her words, most kids (and adults too!) do not understand what they feel. They are constantly reacting in anger, fear, helplessness or frustration. Now reactions are involuntary, you can’t control them. Instead, if kids are aware of what they are feeling, i.e. if they can articulate what they feel and then if they are taught techniques to feel and release their emotions with awareness, they avoid creating blocks and baggages. Most importantly they get back to their happy self quickly. Preethi says she uses simple techniques such as yoga, art, drama, and other fun activities to help children release their emotions healthily. How will the workshop help release the child’s emotions? In this workshop, we give children simple and easy methods to express their emotions through interesting exercises that cut across drama, yoga, art and visualisation. For example, emotions like anger, sadness or resentment can be easily expressed through drawing and painting. Visualisation techniques help children place themselves in another person’s shoes and thus understand the other person’s perspective. Yoga and breathing exercises are time-tested methods to de-stress and calm down an agitated or overactive mind. By skilfully weaving these techniques across various activities, this workshop helps children learn how to handle their emotions successfully. What will your child take away from this workshop? situation in life. Externally they could be perceived as anger, frustration, sadness, etc and over time, these could also manifest as physical or psychological blockages, if not released. Hence, it is extremely important to release your emotions so that your body can go back to functioning normally. Date and Time: Saturday 25th 2015, 10 AM to 1.00 PM followed by 45 mins brief to parents. But for our subscribers, this session is absolutely complimentary . All you have to do is subscribe to the blog and take your subscription email confirmation to her . Do let us know by email [email protected] if you are interested and would love your feedback once the session is done too :). We hope to keep bringing up relevant workshops and endeavours like this from time to time. This is a one time thing so please hurry up and send us your mails :). Being A Good Parent- A Challenge Or An Opportunity? Have You Do(ne) Your Homework Yet? Hi Seeta, you can register with Tat-Twam directly by clicking the link . This is going to be held on this Saturday, 25th July. For a free session with them though you have to subscribe to the blog and take the confirmation mail. eager to make my son a part of it … cheers ! This workshop is for age group 6-10 years. We will keep coming back with more and more relevant workshops for kids of different age groups.